Take a break from chasing the Golden Snitch and enjoy a much-needed tea-break in this lovely Golden Snitch Mug. This standard sized ceramic mug has a beautiful, intricate design that features the golden snitch and some other artwork from the Harry Potter books and films. 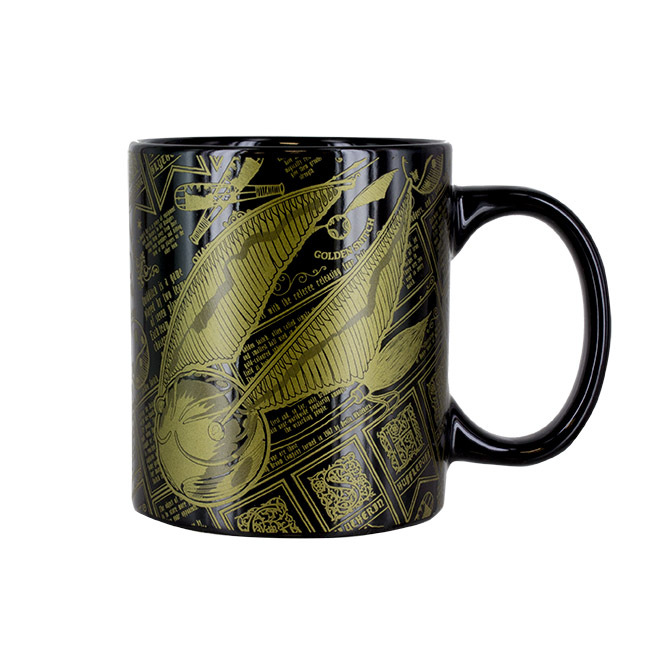 A fantastic gift for Harry Potter fans, this Golden Snitch mug is the perfect accompaniment to your next tea-break. First published in 1997, J.K. Rowling’s bestselling series of novels following the magical adventures of Harry Potter, Ron Weasley and Hermione Granger has since become a cultural phenomenon. A huge success in novel form, the world of witchcraft and wizardry was then given big screen treatment in 2001, launching one of the most successful blockbuster film franchises in cinema history. 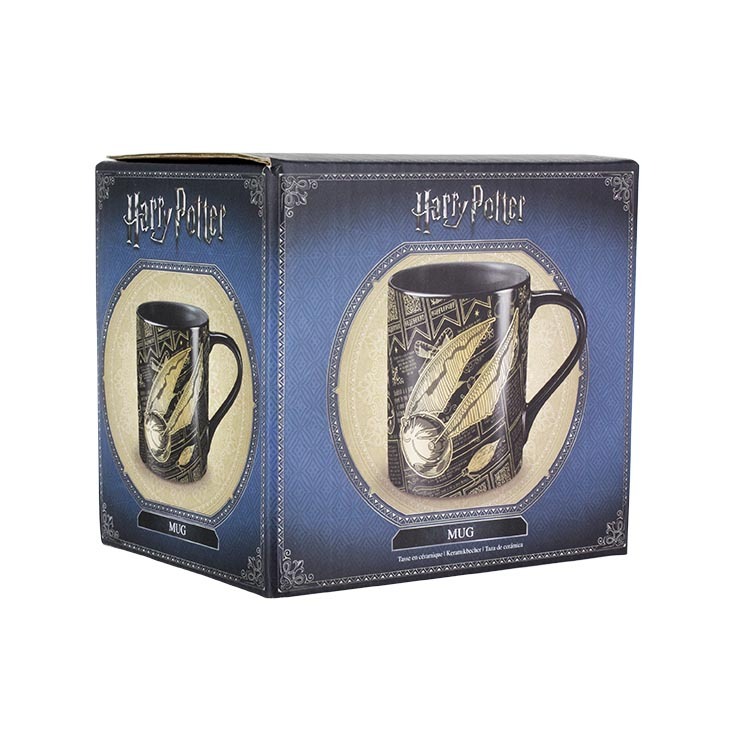 Harry Potter is instantly recognisable to millions of people across the world, and is hugely popular among fans of all ages. 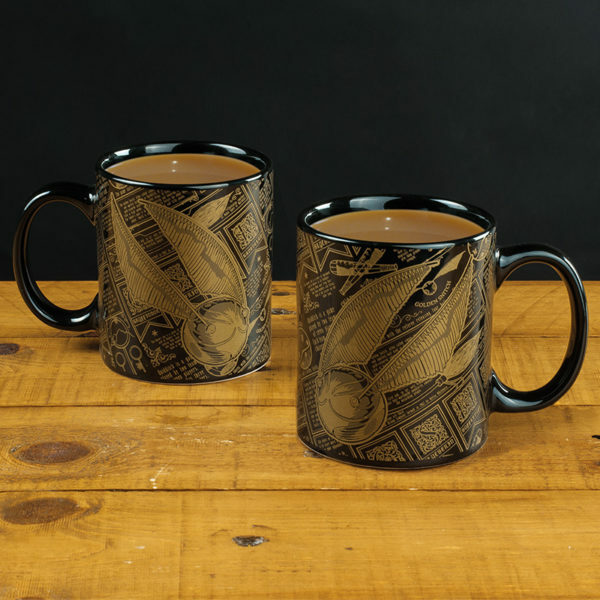 The Golden Snitch Mug is an officially licensed Harry Potter product.